My local news station is keeping me in more material. 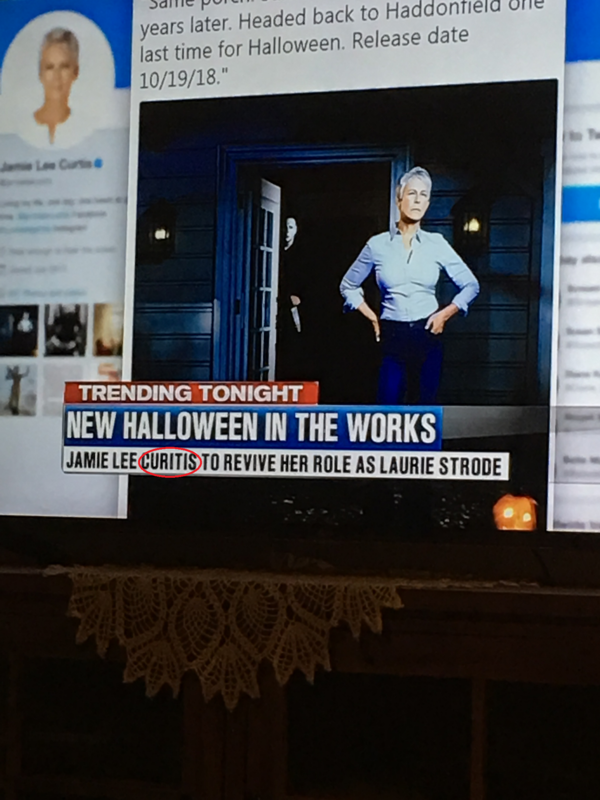 If Jamie Lee Curtis was some kind of bit actress or had a really difficult name, it just might be understandable that they misspelled her name–but she’s not and it’s not. There is just no excuse. Interstate is between states, so you are entering (inter) different states as you travel through, while intrAstate is in the same state so you’re not entering other states, you are staying “In” the sAme state. Intestate means that it is going INto probate because there is no will. 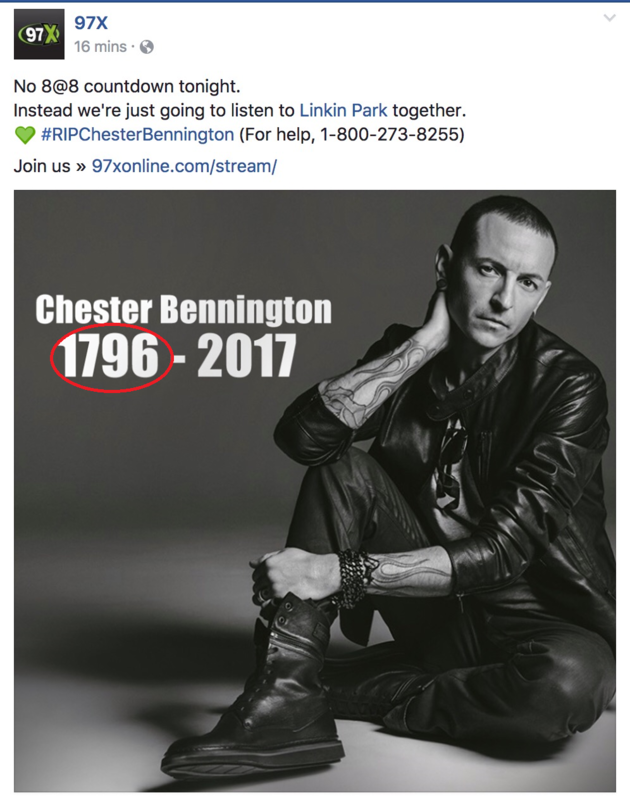 A friend sent this to me and I mean no disrespect to Chester Bennington, but this is a pretty glaring error. He was born in 1976. 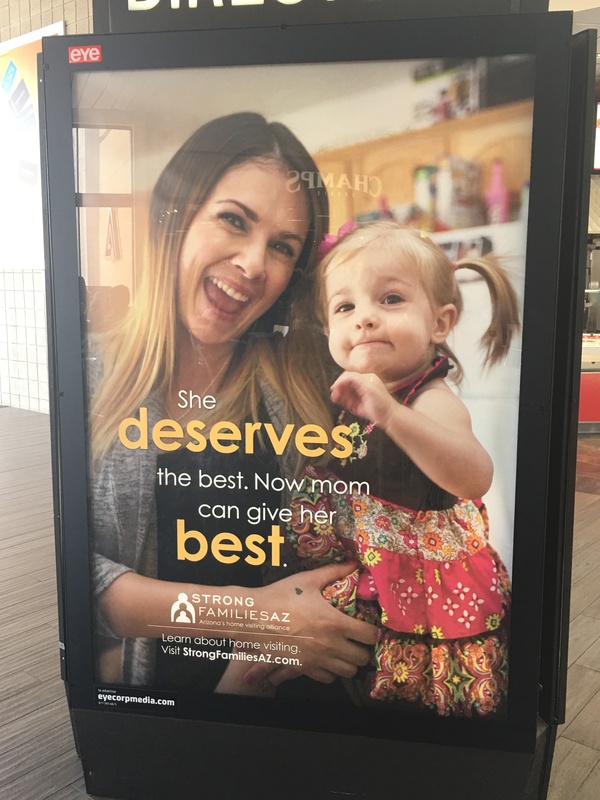 This is an instance where transposition is inexcusable. Didn’t someone actually look at it before it was sent out? In researching the issue, I assumed the question was about filing an amicus curiae brief in the United States Supreme Court. The short answer is that there is no standard. Rule 37 of the Rules of Supreme Court of United States (“Supreme Court Rules”) sets forth the requirements for an amicus curiae brief to the U.S Supreme Court but doesn’t mention special requirements for naming the brief. There was mention that the requirements for the cover page of a Supreme Court brief are covered in Rule 34.1 of the Supreme Court Rules and it does apply to amicus curiae briefs. Those rules set forth that the cover page must specify whom the brief supports (e.g., the Brief of the Better Business Bureau as Amicus Curiae in Support of Petitioner). Multi-state amicus briefs are a bit trickier to name. Some begin, “Brief of [or for] the States of _____ as Amici Curiae in Support of Petitioner [Respondent].” Others begin, “Brief of Amici Curiae States of _____ in Support of Petitioner [Respondent].” (The difference, for those of you who haven’t had your coffee yet, is the placement of the words “Amici Curiae.”) Either way is fine. Also, some multi-state amicus briefs list on the cover page the names of all the states that join the brief; others list only the name of the lead state, followed by the number of additional states that join (e.g., “Brief of Amici Curiae State of Michigan and 19 Other States in Support of Respondents”). Again, either way is fine, though I’m partial to the former approach. 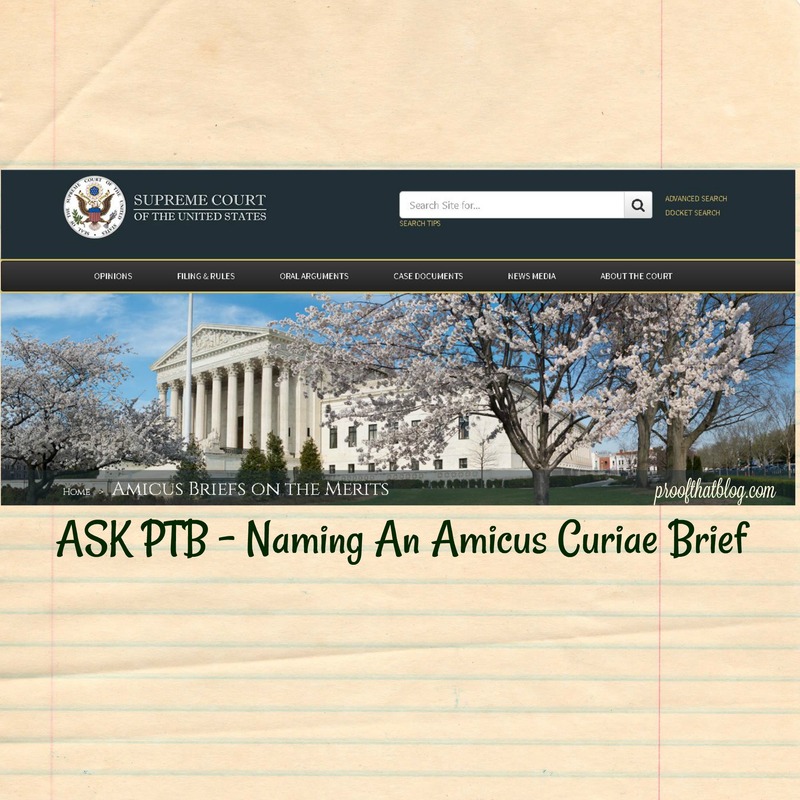 So it appears to me that there is no specific requirement for how an amicus curiae brief is titled EXCEPT that it must specify the name of the amicus curiae parties and whom the brief supports. They said that basically, the amicus party for whom you are writing the brief needs to be mentioned and whether that party supports the petitioner or respondent. The long answer to the question is that either of the examples the reader gave in their question is correct. Each state’s appellate rules should set out any specific requirements for amicus curiae briefs, so if you are looking for information on filing such a brief in a specific state or federal court, check those specific court rules for their requirements. 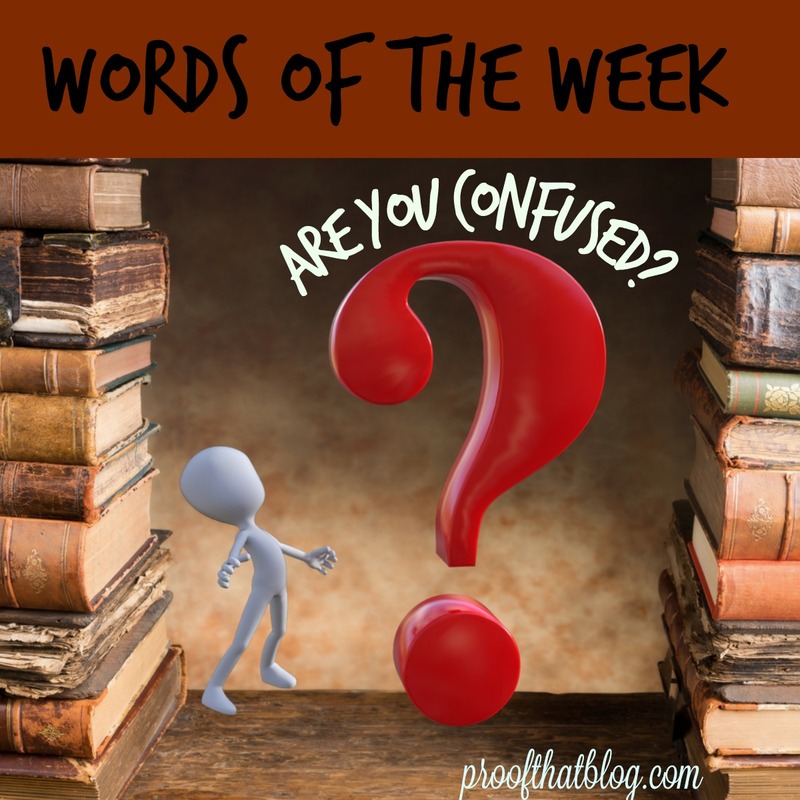 If you have a question for Proof That Blog, click the Ask PTB tab on proofthatblog.com and we’ll find an answer for you. 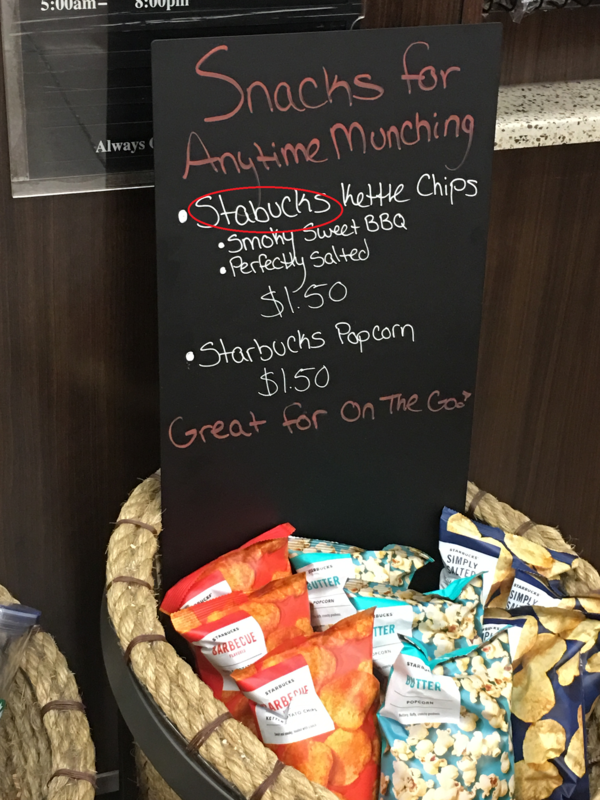 Grammar Giggle – Starbucks or Stabucks? Comments Off on Grammar Giggle – Starbucks or Stabucks? I saw this sign at a store inside my grocery store (and yes, I was standing in line). While I always like to see their creative handwritten signs, I also always like to see things spelled correctly–especially the name of the business you work for. 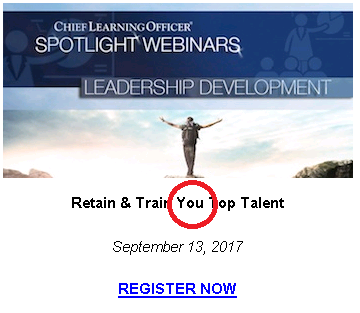 This was in my email and caught my eye.